Mumbai: State Bank of India (SBI), the country’s biggest lender, expects its average funding cost for savings bank accounts to rise 100-125 basis points, its chairman said on Friday. The Reserve Bank of India (RBI) on Tuesday deregulated the savings deposit rate, the last administered bank rate in the country. Within hours, YES Bank, a new private bank, increased the rate it offers on such deposits by 200 basis points to 6% from the earlier mandated 4%. The deregulation of the rate is expected to spark off competition among banks to garner low-cost deposits. New banks, like YES Bank and Kotak Mahindra Bank are expected to be more aggressive in mopping up such deposits. Savings bank deposits comprise about 34% of SBI’s total deposit base, Chaudhuri said. Of the bank’s total savings deposits, 30% have a balance of more than ₹ 1,00,000. The RBI, while deregulating the rate on Tuesday, did not put a floor on the savings rate or restrict the number of times banks may change the rate. It does require that each bank offer a uniform interest rate on savings deposits up to ₹ 1,00,000. 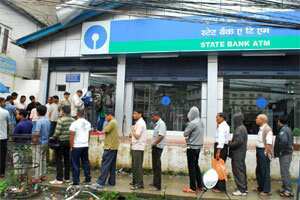 Chaudhuri, however, said SBI would not take the first call among the larger banks on raising the savings bank rate. “We will have to see how other banks play it out and then we will take appropriate policy action," he said. He said the increase in the savings bank rate would not be uniform--for higher value accounts it may be 100 basis points, but for lower value deposits it may be 50 basis points or less. At 2:15 pm, shares of SBI were up 2.1% at ₹ 1,906.10 in a firm Mumbai market.